The best bounce house for lil' buckaroos! 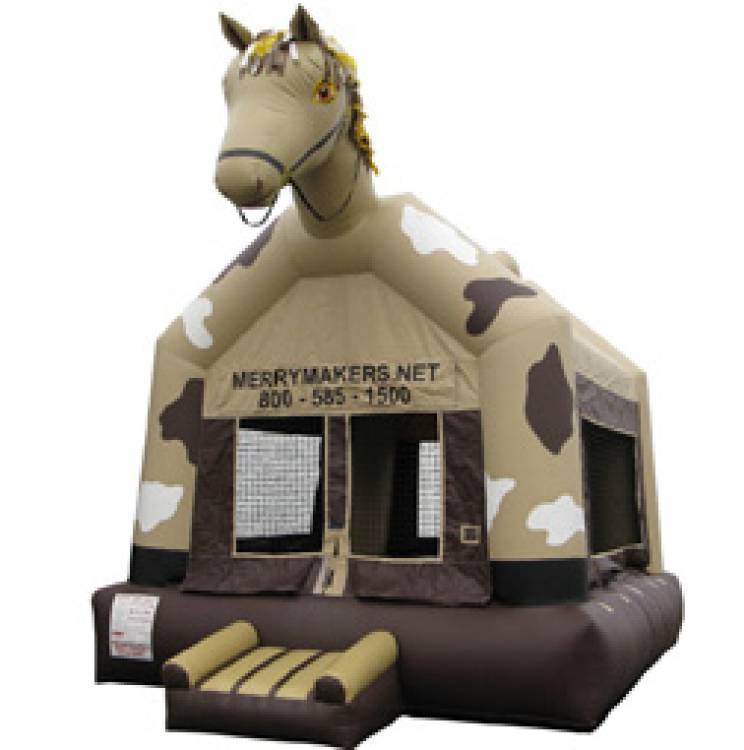 Or, if you're more of the classics type, this Pony bounce house rental becomes the inflatable Trojan Horse of Greek mythology. One inflatable, so many options.